Zur Aubinger Einkehr is actually located in Neuaubing and not in Aubing as the name indicates. The restaurant building exists since 1937. The beer garden is hidden behind behind high walls and bushes. A variety of old trees shade this genuine Bavarian beer garden. 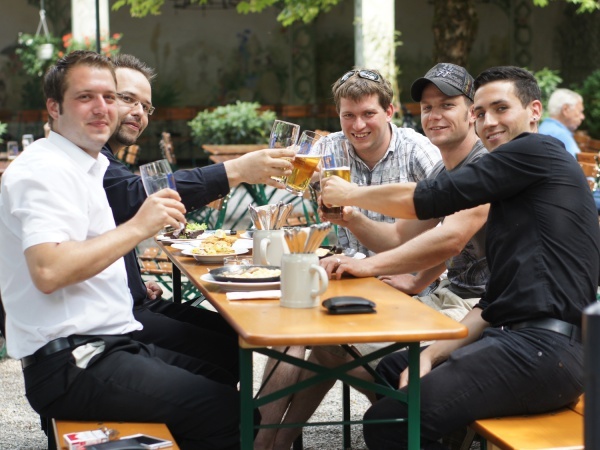 Up to 1,000 guests can enjoy Augustiner beer (€6.80 p/Maß, July 2016) fresh Steckerlfisch (grilled fish on stick) and other traditional Bavarian specialties on the wooden beer benches in the self serviced area or on the sunny terrace in front of the restaurant. The “Salettl” - a roofed terrace decorated with old wall paintings is ideal for private functions of any kind. 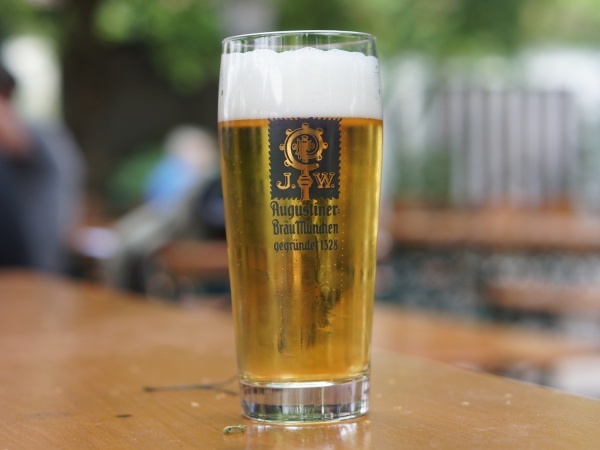 The beer garden is open daily during the summer months from 10am until midnight. The kitchen is open until 10pm.